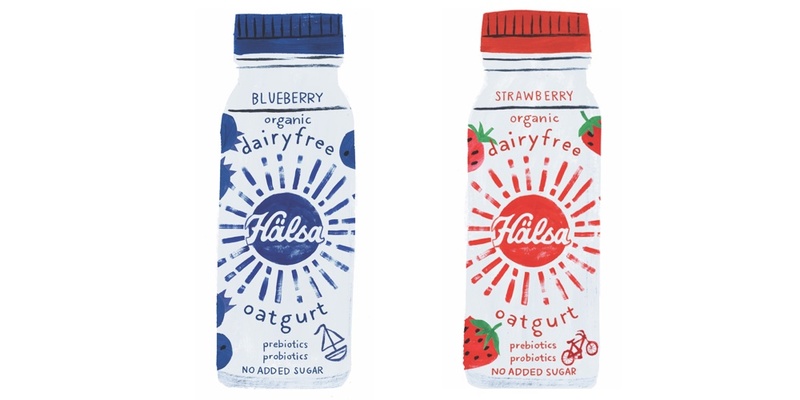 That is possible today, and Hälsa has already done it with its plant based beverages and yogurts. If every American would be able to buy foods without any harmful chemicals and additives, it would make an enormous difference to the health of this nation. We challenge every food manufacturer in the United States to follow our example and find a way to make their products with nothing but real ingredients, today. We invented a new, revolutionary simple chemical-free process to make plant-based milks and yogurts. We teamed up with a few Scandinavian oat wizards who had spent their lives researching oats—our goal was to keep whole grain oats as healthy, whole and nourishing as Mother Nature intended. Nothing natural removed, nothing artificial added. We did not stop at the clean process. We wanted to make sure the ingredients are 100% clean. We happen to be super picky about our oats, so we use organic Scandinavian oats, glyphosate-free, irrigated by rain only, and grown with zero water footprint. We add organic fruits and berries. Why did we go through all this trouble? Our mission at Hälsa is to free food of all harmful chemicals, one product at a time. But most importantly, we want you to be able to enjoy a dairyfree yogurt that is 100% clean and truly nourishing, with gut-loving probiotics and all the goodness of healthy whole grain oats.